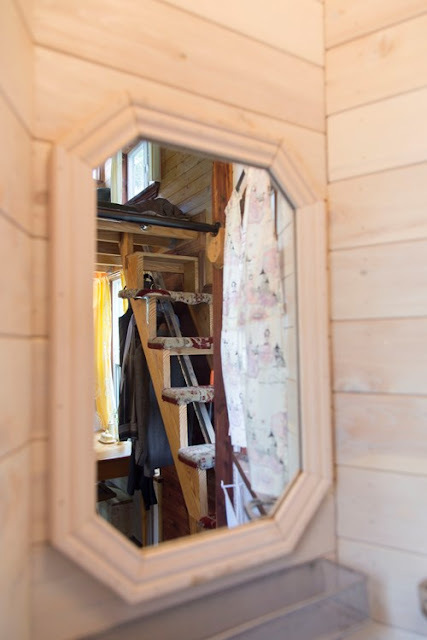 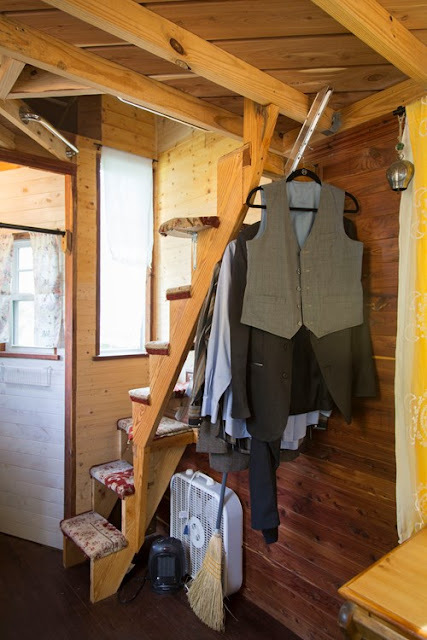 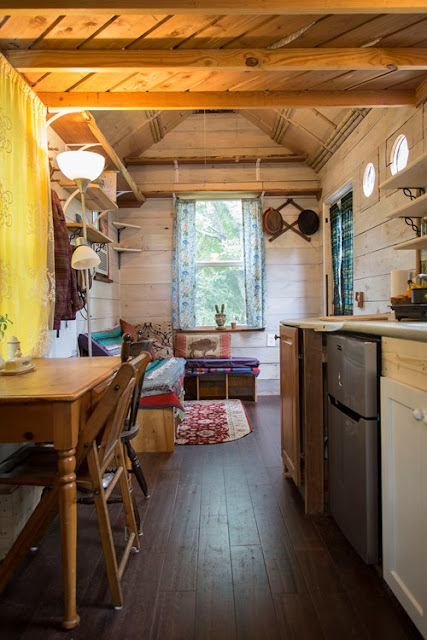 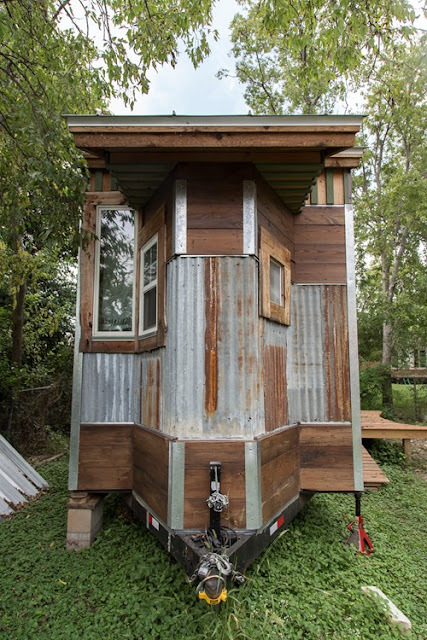 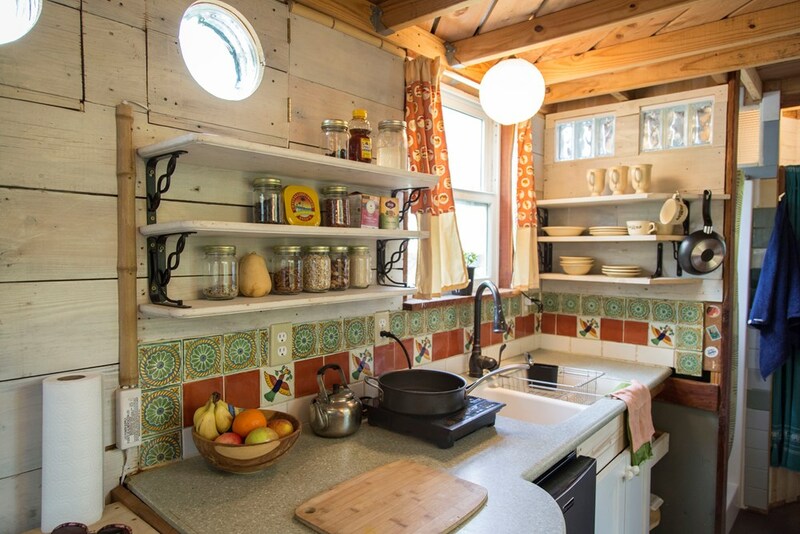 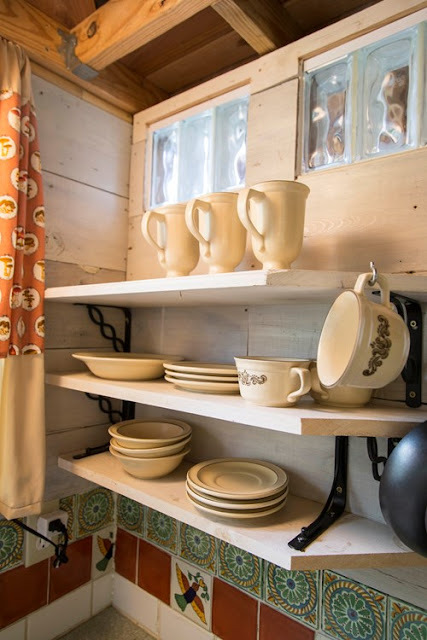 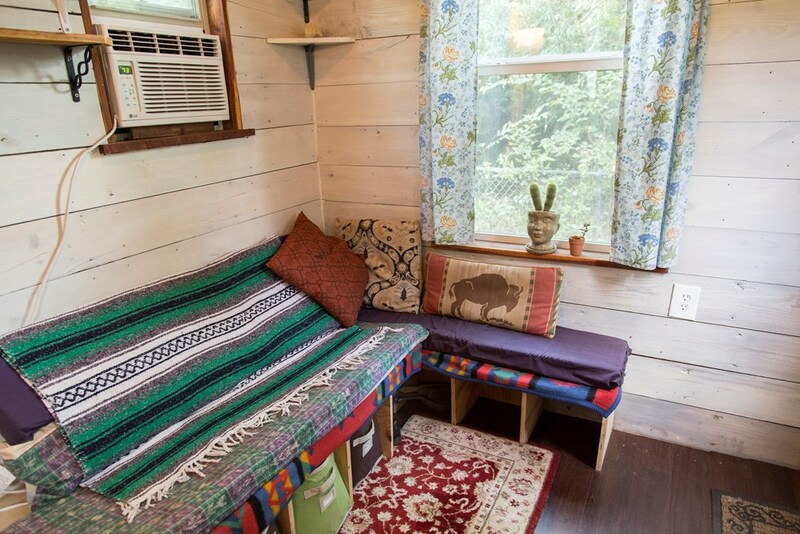 Say hello to the Cedar Haven: an 18' tiny house that proves recycling can be stylish! 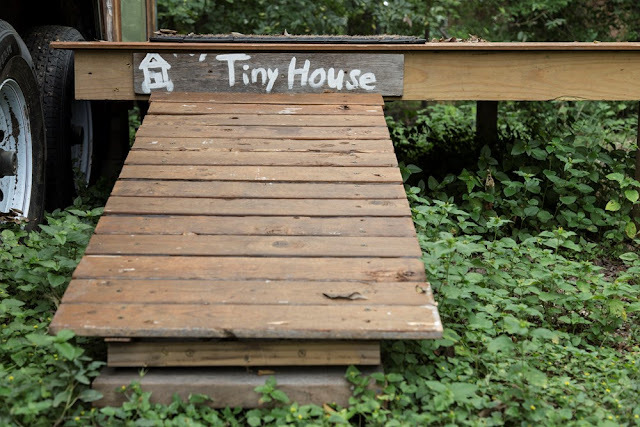 This 200 sq ft home was built using both reclaimed and natural materials. 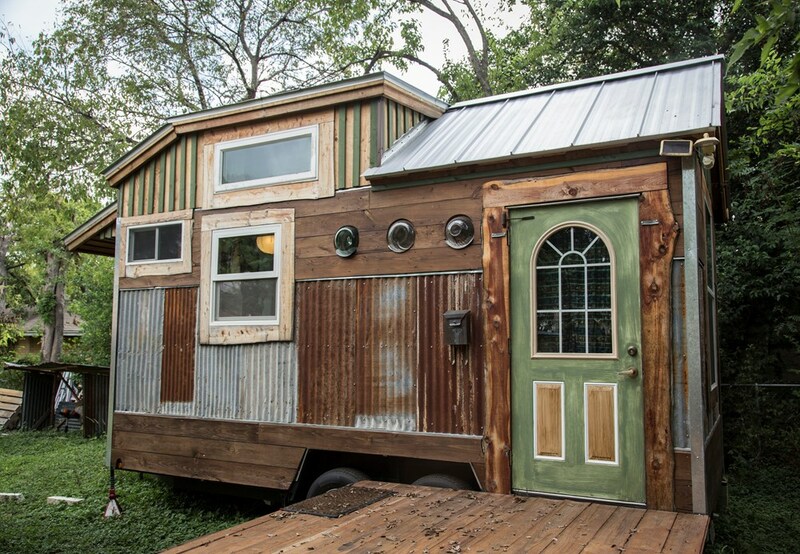 The exterior features a cool, rustic design with a tin siding and framing made of southern yellow pine. 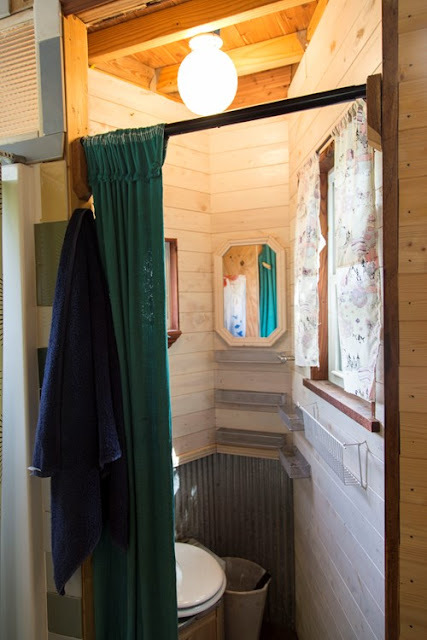 It also comes insulated with sheep's wool to keep you snug in the colder months, and features two 5,200lb capacity axels. 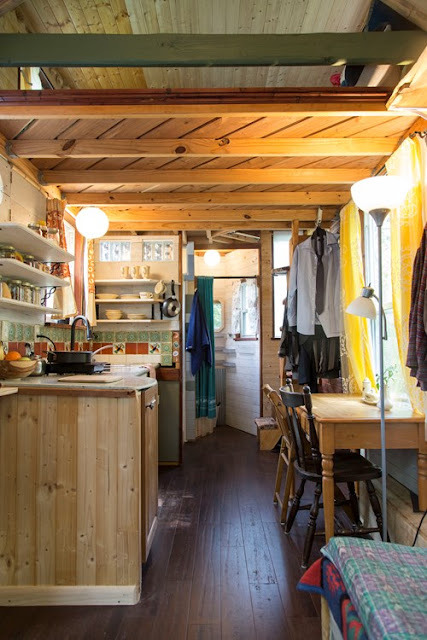 Inside the home is a surprisingly bright space with a functional design that makes the most of the home's limited size. 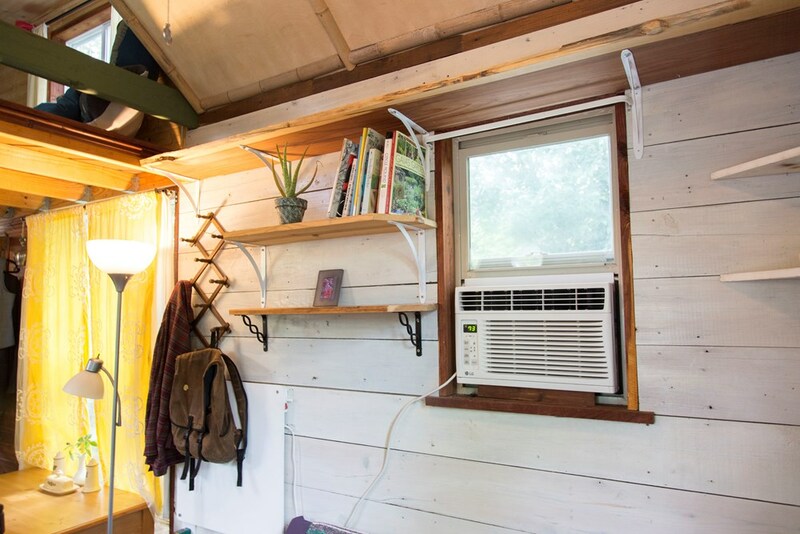 There's bamboo for the flooring and ceiling, double-paned windows, a window AC unit, and a space heater. 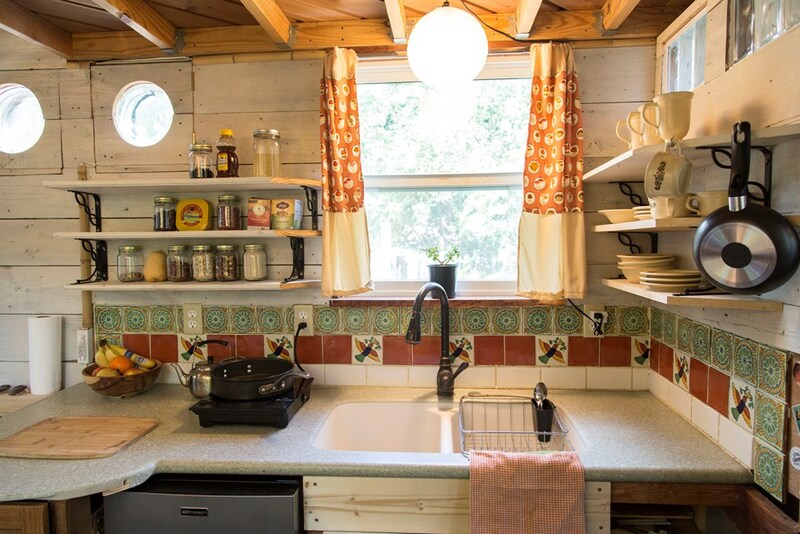 The Cedar Haven's kitchen comes outfitted with an induction cooktop, a Nuwave countertop oven, a mini fridge/freezer, a double-sided under-mount sink, and Corian countertops. 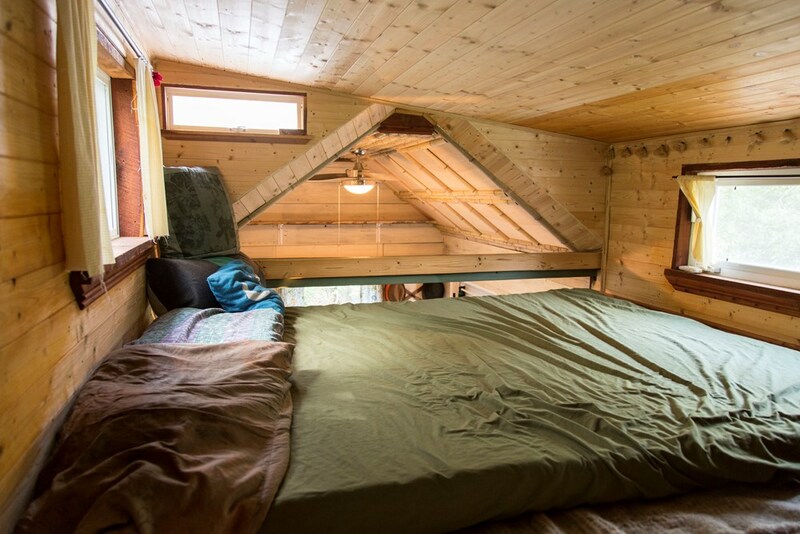 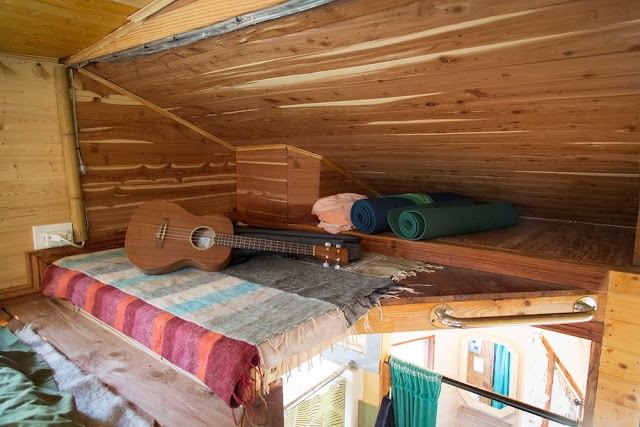 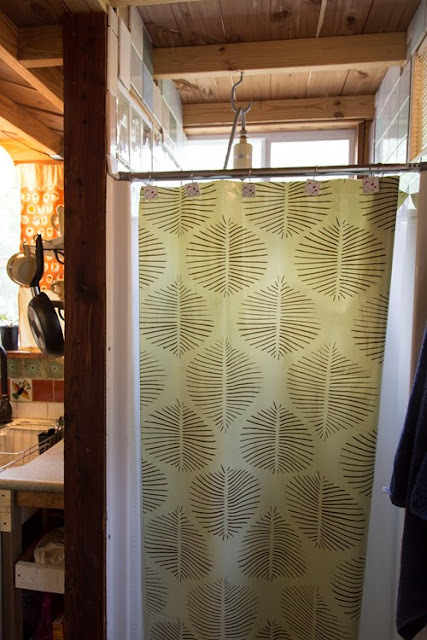 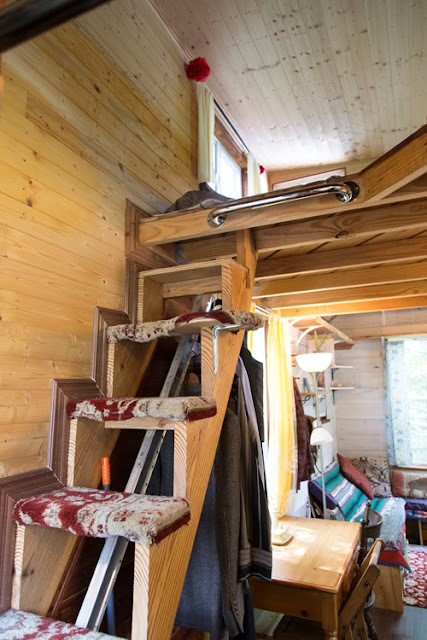 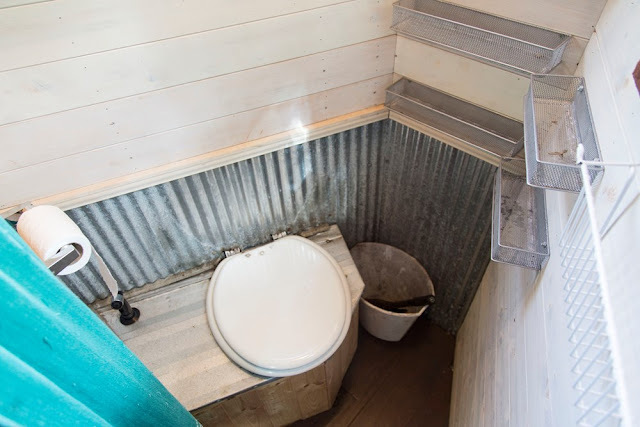 There's also a living room area, a queen-size loft bedroom, and a bathroom with a composting toilet and shower! 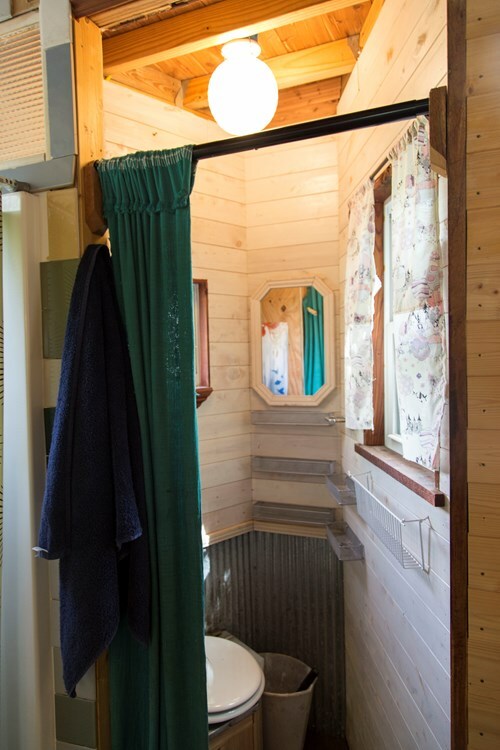 Additionally, the home can be easily hooked up to standard water, electrical, and wastewater systems! The home is currently available for sale in Austin, Texas, and listed here on TinyHouseBuilders.com for $34,000!